As the nights draw in and the weather gets colder it's important that your nursing home is fully prepared to deal with the cold winter months. The aim of a nursing home is to create a 'home from home' and this means making the environment as welcoming and comfortable as possible - and cosy and warm in the winter! Our nursing home curtains are one of the most important elements which helps with both keeping rooms warm and making them homely. Curtains are great for insulating rooms, helping to keep warmth in and reducing drafts from windows. This not only makes the room more comfortable, but also makes it more cost effective to heat. Curtains also help to reduce the amount of noise which can be heard from outside. 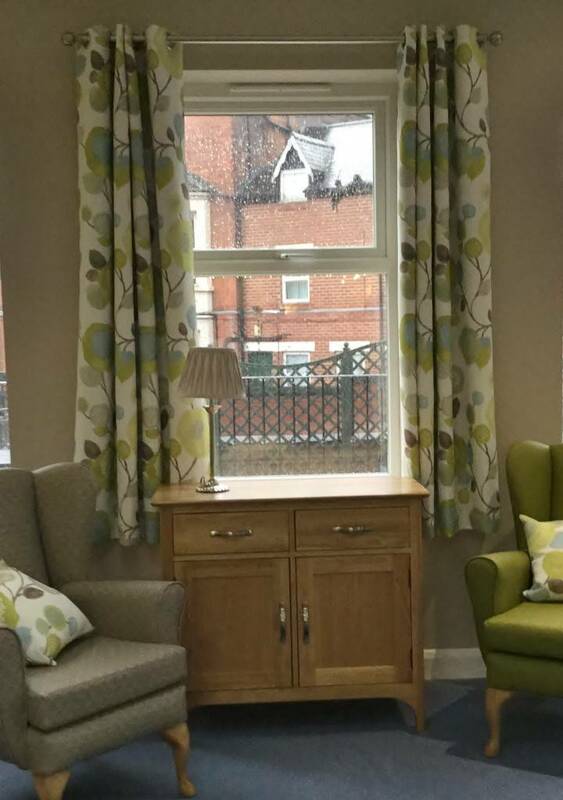 We have a wide range of flame retardant materials available for curtains and nursing home furniture to ensure that your furniture looks great as well as being incredibly practical. Our nursing home furniture can also be a great way to make rooms more cosy. We stock a wide range of care home seating to suit all tastes and budgets. Choose from a wide selection of stunning fabrics and designs! Our chairs are designed to be comfy but also to make life easier for residents and staff and so have memory foam cushions and waterproof liners. You can browse our full range of nursing home furniture online. Browse our nursing home furniture online & get in touch! If you're stuck for ideas, then don't worry! We have a wide breadth of experience in interior design and can help you to pick the right nursing home furniture to transform your care home. For more information please get in touch with a member of our team who will answer any questions you may have.